The biological actions of estrogens in target tissues are regulated by the concentration of nuclear estrogen receptors and by the intracellular estrogen concentration. The latter concentration is dependent on estrogen plasma levels, as well as local intracellular production and metabolism in the tissue. The ovarian follicles are the main source of estrogens during the reproductive years. However, in postmenopausal women most of the estrogens are produced in peripheral target tissues, which contain the required enzymes to synthesize estrogens from inactive steroid precursors of adrenal and ovarian origins. A key enzyme for the synthesis of estradiol is 17ß-hydroxysteroid dehydrogenase (17HSD), which catalyzes the reaction between estrone and estradiol. 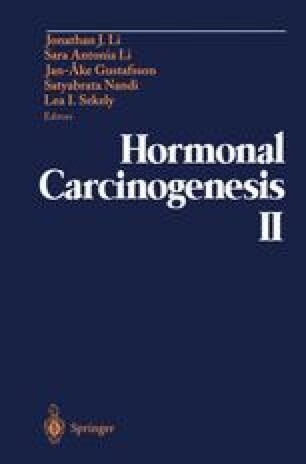 This review deals mainly with the expression and regulation of 17HSD type 1 in steroidogenic organs and estrogen target tissues.